Charles Kreindler is a partner in the Government Contracts, Investigations & International Trade Practice Group and the White Collar Defense and Corporate Investigations Team Leader. 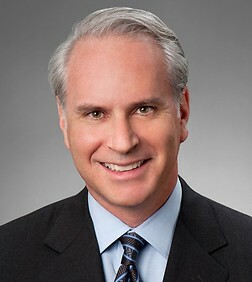 He is based in the firm’s Los Angeles office. Mr. Kreindler is an accomplished trial and appellate lawyer with specialties in white collar criminal defense and complex civil litigation on behalf of both plaintiffs and defendants. Mr. Kreindler was a Federal Prosecutor in Los Angeles from 1989-1997. In that role, Mr. Kreindler investigated and prosecuted a variety of criminal offenses including healthcare fraud, defense procurement fraud, tax evasion, bank fraud, money laundering, international theft, murder, and counterfeiting. He coordinated and supervised both the Southern California Defense Procurement Task Force and the Southern California Health Care Fraud Task Force. Both of these task forces included agents from a variety of agencies including the FBI, Postal Inspection Service, Health and Human Services, Defense Criminal Investigative Service, as well as the State of California. In addition to his prosecutorial responsibilities, Mr. Kreindler was promoted to Assistant Division Chief in 1994 and was directly responsible for supervising approximately 60 Assistant United States Attorneys. As a criminal defense attorney, Mr. Kreindler has successfully represented numerous individuals and entities in connection with a wide range of federal and state investigations and prosecutions. In civil litigation, Mr. Kreindler has successfully represented both plaintiffs and defendants in both state and federal court. For example, as plaintiff's counsel, Mr. Kreindler recently won a jury verdict of $6,724,000 in a breach of contract action against one of the largest banks in the country. In a personal injury case, he won a jury verdict in excess of $1,000,000. Mr. Kreindler was also able to reach a settlement of over $50 million on behalf of a company against its former director and CEO, and successfully completed a complex commercial arbitration on behalf of a biotech firm where he won an award of over $10,000,000. As civil defense counsel, Mr. Kreindler recently received a defense verdict on a fraud and breach of contract claim, as well as a defense verdict on claims of trade secret violations. Mr. Kreindler has also successfully defended numerous individuals and companies in complaints brought by the Federal Trade Commission (FTC), as well as state and federal False Claims Act litigation. Mr. Kreindler has received numerous awards and honors for his legal achievements, including the Inspector General's Integrity Award from the US Department of Health and Human Services, and the Department of Justice's Special Achievement Award on two occasions. Other honors and commendations have come from the Federal Bureau of Investigation, the United States Postal Service, the United States Air Force, Defense Criminal Investigative Service and the Immigration and Naturalization Service.